NUMERODUE, two rings to wear together. In NUMERODUE is composed by two rings, which together collect the full text of the Pater Noster, while in NUMEROUNO the message chosen is the Ave Maria. The minimal design of these jewels hidden in the eyes of the words, stamped in relief to the side. To a distracted eye, and a little curious appear rings polished to a mirror: elegant, beautiful, perfect. 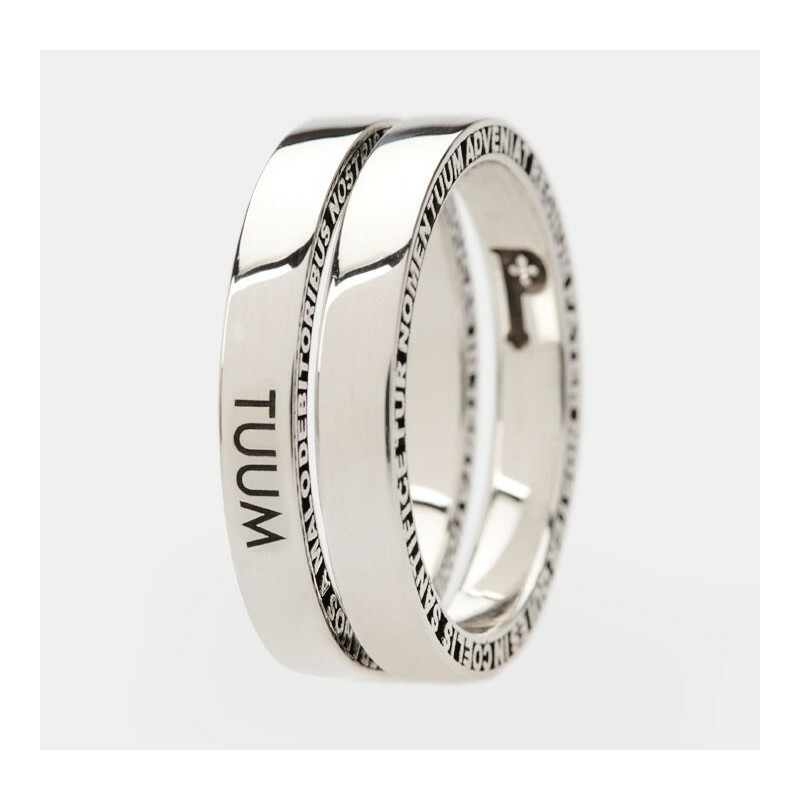 In fact, the peculiarity that distinguishes these models is the location of the message, embossed on the thickness of the ring, leaving free the upper part of the sash, so as to give emphasis to the engraving of the brand TUUM. NUMERODUE is composed by two rings, which together collect the full text of the Pater Noster. Both models keep the inner part of the iconic and distinctive caps that identify TUUM. 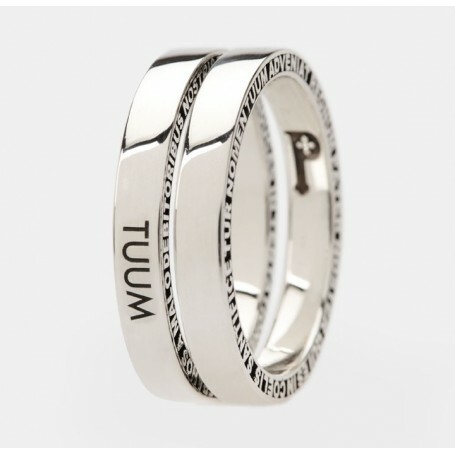 TUUM NUMEROUNO and NUMERODUE are offered both in silver, and in gold. In addition, in the gold version, it is possible to have TUUM NUMERODUE in two different sizes for those who wish to do NUMERODUE your seal of love, your wedding ring.